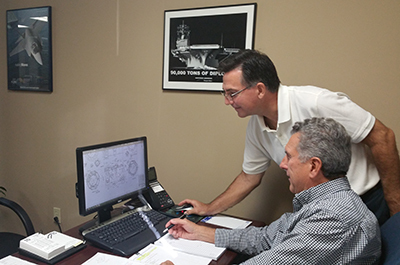 DECO has been a trusted resource for design support and related services for more than 50 years. Design excellence and a high level of customer service have always been hallmarks of our approach. Our Designers average over 30 years of experience and are often called upon to provide a level of creativity and value added support that only comes from experience and exposure to a wide range of manufacturing programs. From concept through design and final documentation, we can be an extension of your engineering department, or work in support of your manufacturing operations. Our clients know that we will provide the support they need – on time and on budget. You’ll find that, at DECO, quality begins with our commitment to you. Reno Machine Company, Inc. acquired Design Company, Inc. in 2010. Now, together with Reno, DECO can provide OEMs with “one-stop shopping” for high-quality design and precision machining services. A recent addition to DECO’s offering is CMM and NC programming.